Mother's Day is a wonderful time to let our own mothers and all those who "mother" know that they are special and loved. But, for those of us on the giving end of the equation, it can be difficult to figure out what to give to the woman who already has everything! If you're feeling a little stuck on gift ideas, check out the list below for some unique, thoughtful ideas! 1. A Clean House: Whether she works or stays at home, keeping the house clean is a task for any mom. With Mother's Day coinciding perfectly with spring, why not hire a professional housekeeper to do a deep cleaning for her? With all the dusting, mopping, and vacuuming done, she will have far more hours in the day to focus on what is important: Herself and her family. 2. A New Family Portrait: Getting the whole family together for a portrait can be a hassle, but what mother doesn't want to have a beautiful, professional picture of her loved ones to show off to everyone? Perhaps you can schedule time with a professional makeup artist before the shoot so she looks her very best! 3. A Jar Full of Memories: One of the best gifts a mother can ever receive is the knowledge that she is loved and appreciated. So, try this on for size: Get a large glass jar and tie a large bow or decorative ribbon around it. Then, have all the family members write their favorite mom related memories on brightly colored paper. Fold the papers in half and fill the jar to the brim. Then, whenever Mom needs a reminder of how special she is, she can reach into the jar and read one of the memories. 5. Something She Would Never Buy Herself: We all have things we want but would never buy for ourselves. Something she's always talked about, but would never do for herself. Just knowing that you noticed something she likes and cared enough to give it to her on her special day will mean the world to her. Indulge in the fresh, sparkling scent of Champagne and Rose. The effervescent aroma evokes the feeling of luxury and inspires a sense of relaxation. What type of exfoliating cleanser should I use? That’s a really good question, because it depends on your skin type. There are basically two different ways to exfoliate your skin at home, scrubs or peels. Scrubs contain different types of an abrasive ingredient that slough off dead skin cells as you rub it around. This type of exfoliating is better suited for thick, oily skin types. A peel is different, because these work by dissolving the dead skin cells. There are many different types of peels; vitamin C, enzymes, and alpha hydroxyl acids to name a few. Exfoliating this way is beneficial for all skin types, including rosacea and sensitive skin. In most cases, exfoliating should be done at least once per week. We have all of these mentioned available at the spa. Be sure to ask your Esthetician what is best for you. It’s often said that when the mother is happy, the whole family is happy. Never a truer sentence was spoken. If you’d like your Mom to feel special this Mother’s Day.... pampered, relaxed, more beautiful than ever....then I’d like to offer you something she will never forget. At Spa-lon Euphoria, we have created a special package just for this Mother’s Day. 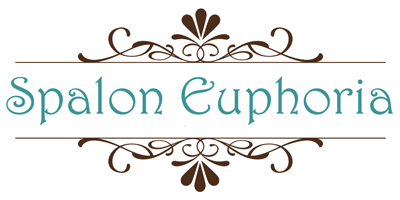 At Spa-lon Euphoria, we understand that the skin is the body’s largest and most exposed organ. It faces harsh exposure to wind, sun, hazardous chemicals and extreme changes in temperature and humidity. As part of your Mom’s Shangri-La Indulgence, she will receive a complete written analysis and care guidelines so that her skin can be maintained in the best of health for years to come! Normally we charge $65 for this service, but this is free as part of her Indulgence Package. Or, if you feel this package is not suitable for your mom (after all, you know your Mom better than we do) then all you need to do is call and let us suggest some equally wonderful alternatives. Please Note: We only have 10 of this package available at this price. Mother’s Day is less than 11 days away...please don’t delay, as this Indulgence package will book in quickly. Affordable, Fast, Safe, Effective and Great Results! 6 SOLD OUT!! Another 15 Available at this amazing price!! Manual dermabrasion is a technique for removing the topmost layer of skin leaving it supple and vibrant. Removing this outer layer leaves skin looking and feeling buffed and also prepares and allows skin to penetrate active products. Manual dermabrasion is wonderful alternative to laser or cosmetic peels because it is non-invasive, non-surgical and requires no down time after treatment. Normal activities may be resumed immediately after. Clients experience softer, smoother and clearer skin after the first treatment. A course of 6-10 treatments are recommended, depending on the condition and type of skin being treated and the desired result. A Manual dermabrasion treatment is painless yet very effective. The degree of effectiveness is controlled by the depth of pressure used during application. Your trained esthetician will evaluate your skin to determine the depth of treatment to achieve the best result, while at the same time ensure your comfort. Your skin may look slightly flushed immediately after your first treatment but should return to normal within 10-40 minutes. With additional treatments and the use of effective professionally prescribed products, including a good physical sunscreen 30+ every day, your skin will continue to improve.